The original photo, taken by Mike Brown of Reuters, has gotten a life of its own online. Some people are simply making jokes about unwanted “touching” from Pence, while others have accomplished more elaborate photoshops—like the person who added President Trump’s infamous tennis photo. Reddit even has a Photoshop Battle going on. 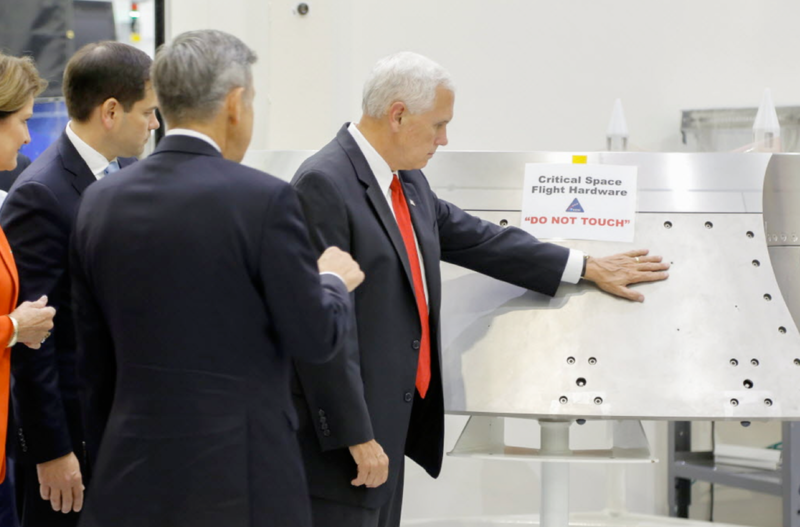 So if you’re inspired to create your own version of Pence’s weird NASA encounter, please share it with us in the comments. This isn’t the first time that members of the Trump administration have inspired a meme. 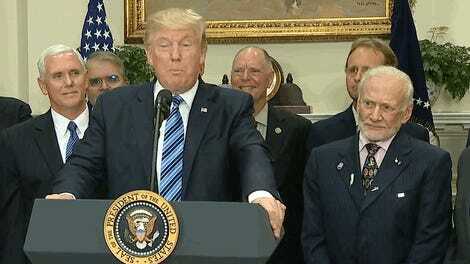 From the glowing orb in Saudi Arabia, to those bizarre photos of the Trump family at the Vatican, it seems like the entire Trump presidency is going to be fodder for photoshop jokesters. 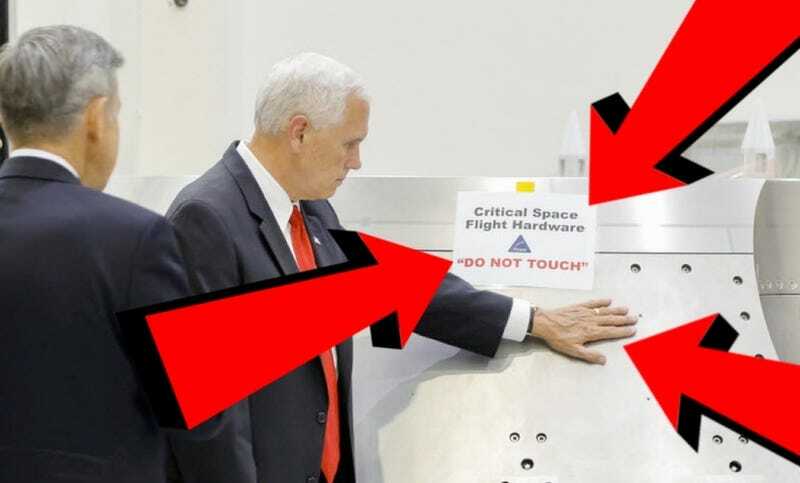 Update, 3:44pm: Vice President Pence just tweeted a joke, blaming Marco Rubio (who was standing behind him) for daring him to touch the NASA equipment.